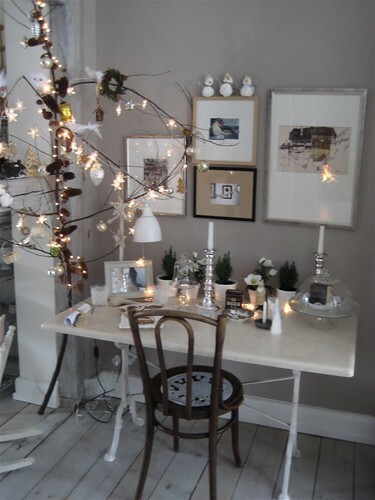 Decorations at Christmas – Small spaces, small budgets, no problem! 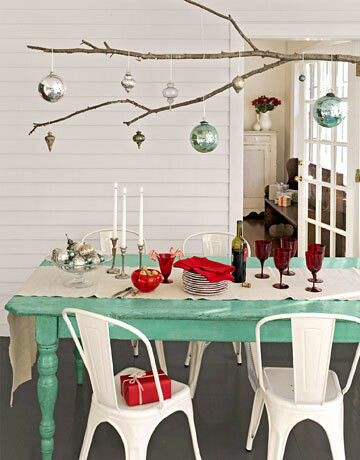 I wanted to share some different creative decorating ideas with you, as you consider your decorations at Christmas. The simple idea that I want to share with you today is not only gorgeous, but it also comes in at ZERO cost = FREE! 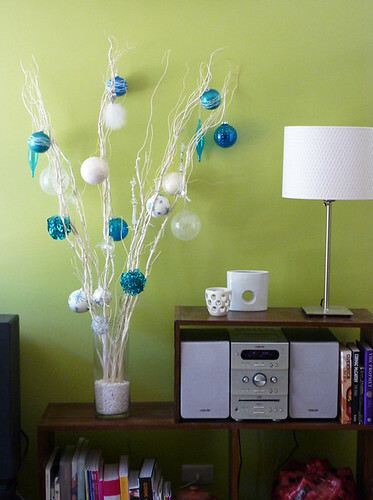 Not only is is free, but it’s also a fun way to decorate your space throughout the whole year. When considering the focal point of traditional Christmas decorations, the first thing that comes to mind, is the big… beautiful…fresh cut…evergreen Christmas tree. 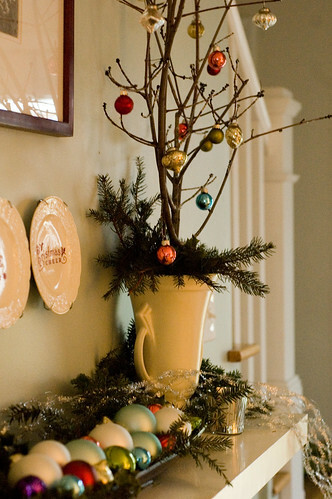 No matter how much you’d love to have the typical Christmas centerpiece, maybe you don’t have the room for it in your small space. Or, perhaps your budget won’t allow it. Maybe you or a family member has allergies to evergreens. If you’re like me, you might just be in the mood to try something new, or add to your growing line up of holiday decorations. Whatever situation you find yourself in, I want to help open your mind to the countless ways there are for you to decorate for the holidays! The idea begins with a simple tree branch, then expands into beauty that is only limited by your own imagination! Before I explain further, take a peek at a few examples of how some people have already used this idea in their homes. – Spray paint it white, gold, silver, light blue, pink, etc. – Anything you can imagine! Idea: Dress it up even more! When cutting things out of paper, think about using some sort of paper that will bring even more interest to the item that you are creating. Here’s an example of what I mean. Instead of white paper, you might want to consider; sheet music, wrapping paper, pretty napkins, cards, copies of old letters, scrapbook paper, construction paper, etc. 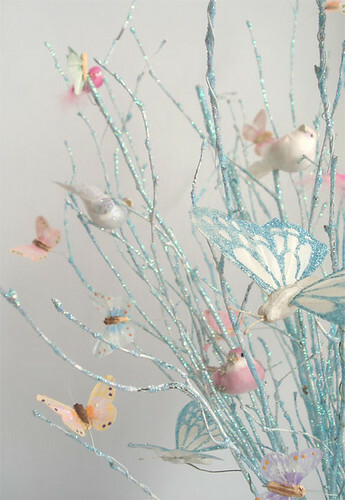 You can find lots of pretty things to download online. 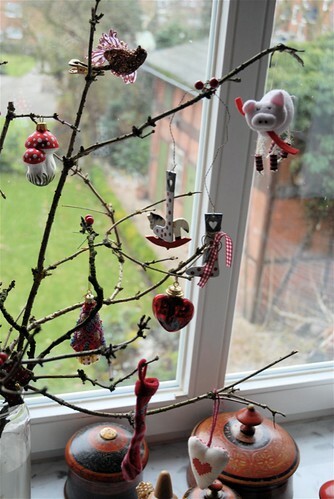 Have you ever wanted to add a theme tree to your decorations, but couldn’t bring yourself to leave out your traditional family tree? Well, this is the perfect way that you could have both! 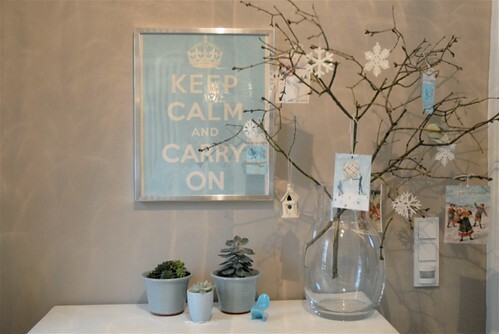 As a matter of fact, why not have 2 or 3 different displays around your house! Many times a theme can be communicated through color or collection. In the “color” theme, you would decorate the whole display using different items, but all of the same color. When using a collection, everything can be different colors, but the same types of items. Example: all vintage mittens, vintage baby bonnets, all bells, all snowflakes, all miniatures, all birds, etc. Where can I get a tree branch? How big should my branch be? – This is totally up to you! How big of a branch can your space handle, and what kind of look are you going for? How else can I decorate my centerpiece throughout the year? Who knew that a simple tree branch could be so beautiful! 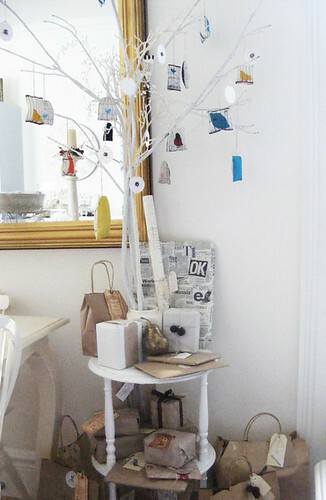 Dear Pearl, thank you for your simple tree branch ideas. 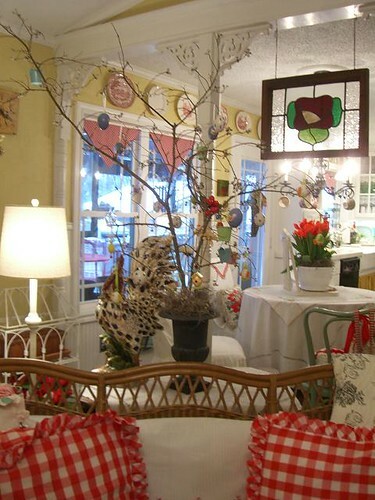 I love to put together vignettes and have yet to come up with some ideas for the one on my dining room buffet. I have a nice statue of St. Francis with a bird sitting on his left shoulder and another perched in his left hand. The tree branch would enable me to carry out a winter bird theme. I’d love to see a picture of what you come up with! I love it Pearl! Such a great idea! Thanks Lynda – love you bunches! ps I’m glad you little girls are starting to lay their eggs! Hello Pearl! As always, you have shared such beautiful inspiration with us! 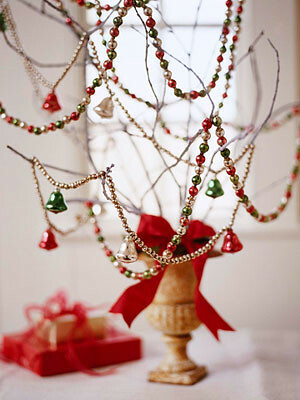 What a fun, creative and also inexpensive way to try something different for the Holidays. All the photos are so gorgeous! Wishing you and yours a Joy FILLED Christmas! Have a wonderful Christmas & blessings to you in the new year! so cute…. 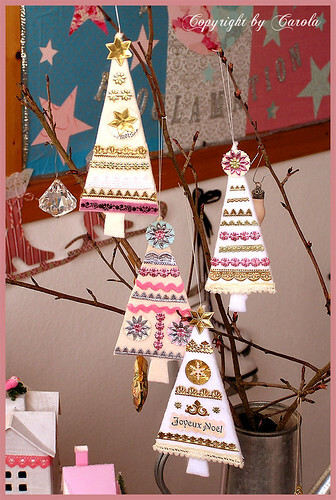 we own a christmas Tree Farm and this is a nice alternative to pine, fir and spruce…use both! Merry Christmas! 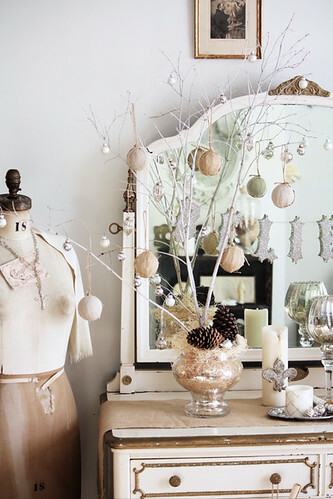 I am also excited to add these branch centerpieces to my decorating line-up! Gorgeous pictures. I bought a golden gilded branch set in a sturdy base last year. 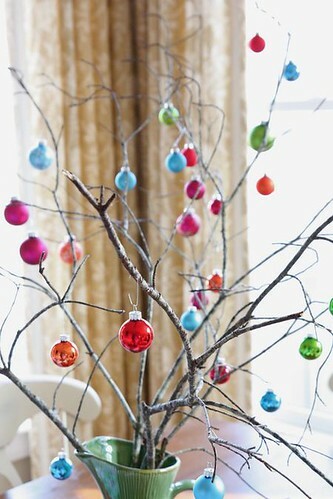 We drizzle acrylic paints in clear glass balls, let the colors blend-they end up looking like marbles, and we hang them on the golden branches -you are right-this is a simple look you can adjust to every holiday-I hadn’t thought of using it any time besides christmas, but now I’m looking ahead to new themes. Great idea, Pearl! Thanks Julie – I’m glad you can put this idea to good use in your home decor! Your ornaments sound lovely too! What a great collection of photographs. Thanks for the wonderful inspiration. Charlotte – Thanks for stopping by! I took a visit to your blog & loved it! I am going to try a few of the recipes you have listed – especially the cheese ball! It also sounds like you & I have a lot in common, especially our love for our God & families! Blessings to you this Christmas season! Thank you for the wonderful pictures and ideas. 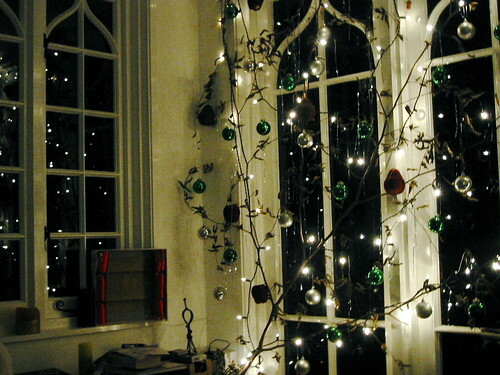 I have always loved the idea of decorating branches. Thank you so much for the photos. I enjoy your blog and messages. Now I have a few more blogs to enjoy. God bless and keep it up! It is the best time to make some plans & it’s time to be happy. Maybe you could write subsequent articles relating to this article?